WATCH: Sofia Andres Kisses Her Younger Brother! Children with a special condition like Down’s Syndrome are always special not because of their health situation, but because of their extra special abilities. Although they are not living a normal life because of their special needs, it is always possible that they can always do something extraordinary. That is why Kapamilya actress Sofia Andres is very proud of her brother, Bryan Angelo Andres. 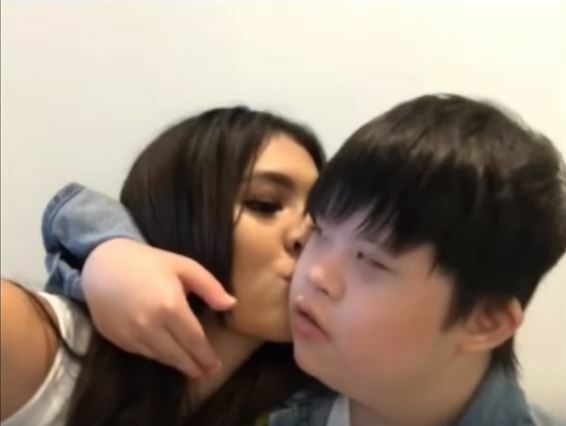 Sofia’s brother is a Down’s Syndrome patient. Although he has been living with this serious condition since he was born, it did not stop him from doing what he loves. According to Sofia, her brother loves to act. He does not even seek any advice from them when it comes to acting. His talent came naturally and it can be seen that artistry runs in their blood. Bryan appeared in ABS-CBN hit series, “The Story of Us” as Kim Chiu‘s brother. His stunning performance gained positive remarks from the viewers who were in disbelief of his talent in acting. Sofia even revealed that the production crew of the series did not give him special consideration and treated him like a normal artist. 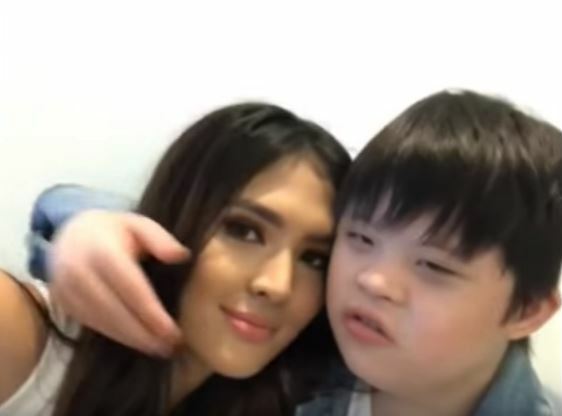 This viral video of Sofia and Bryan made the rounds on the internet as many online users seemed to be inspired by their very sweet relationship. Sofia is very proud and affectionate when it comes to Bryan. It is very evident in this video posted on Sofia’s social media account. She sweetly kissed her cute brother, which Bryan enjoyed so much. Netizens commend the actress for being proud of her brother despite his condition. They are also happy to see someone like Bryan has the opportunity to do what he loves doing. Do you also know someone with this special condition? How do they cope with their condition? Share your experiences with them in the comments section below.